Image: AndreyPopov/Getty Images. Design: SheKnows. Diabetes is, unfortunately, a common problem in the U.S. While some types of diabetes, such as Type 1, are beyond our control, the most common type of diabetes (Type 2) can often be influenced by various lifestyle factors. Here's a look at ways you can make changes now that can decrease your risk of developing Type 2 diabetes down the road. What is Type 2 diabetes, anyway? Diabetes is a common disorder that affects 30.3 million people in the United States, which is more than 9 percent of the population in the U.S. According to the National Institute of Diabetes and Digestive and Kidney Diseases, Type 2 diabetes is the most common form of diabetes. In Type 2 diabetes, your body doesn't make — or use — insulin like it should. This means too much glucose (also known as blood sugar) stays in your bloodstream and doesn't reach the cells of your body, which can cause a whole range of symptoms. Type 2 diabetes is caused by a number of different factors. Being overweight or obese or not being physically active are two common causes, as is insulin resistance, which is when your liver, muscle and fat cells don't use insulin very well. As a result, insulin production increases, but after a while, your pancreas can't keep up and your blood sugar levels rise. Also, your genetic makeup can be a factor as well. Fortunately, there are lifestyle changes we can make to help decrease our chances of getting Type 2 diabetes. Here are a few. Dr. Danine Fruge, medical director of the Pritikin Longevity Center, tell SheKnows you should definitely try to stick to high-quality carbs instead of foods that are chock-full of "bad" ones. "If you’re eating refined carbs like white bread and sugary desserts, blood sugar levels can shoot up," she explains. "But if the bulk of your diet is fiber-rich, unprocessed carbohydrates like vegetables, whole fruit, whole grains and beans, you may be able to normalize blood sugar levels and even reverse the diagnosis of prediabetes and diabetes, scientists are now discovering." Dr. Kelly Wood, an endocrinologist at Piedmont Fayette Hospital, tells SheKnows that getting some exercise can help delay or even prevent the onset of Type 2 diabetes. "The recommended amount of exercise was 150 minutes per week," she notes. "This is 30 minutes, five days per week, but you can start at 10 to 15 minutes a day and slowly increase." Greens are a powerful tool in your culinary cookbook that can make your future a little brighter, Dr. Garth Graham, a cardiologist at St. Luke's Cardiovascular Consultants in Kansas City, tells SheKnows. "Greens like spinach, kale or chard are all considered superfoods," he notes. "Supergreens can help put your body on track and have been linked to better overall health outcomes. These greens have antioxidants, are energy boosting, and they keep your body in ideal alkaline pH state, which are all preventative measures for diabetes." While you may think checkups are just for kids, they are definitely not. Wood says regular checkups will help you keep up a line of communication open with your doctor. There's another easy benefit too. "Have a regular check up with your doctor and request that you be screened for diabetes, especially if you are over the age of 45 or have a family history of diabetes," she suggests. "Your doctor can do a simple blood test to see if you have diabetes or prediabetes." "Eating too much protein, especially animal protein, may contribute to excessive fat buildup in the body, including the muscle, liver and pancreatic cells, where it will promote insulin resistance and lead, eventually, to diabetes," says Fruge. She suggests looking toward lean protein or plant-based proteins instead. What warning signs can you look for? 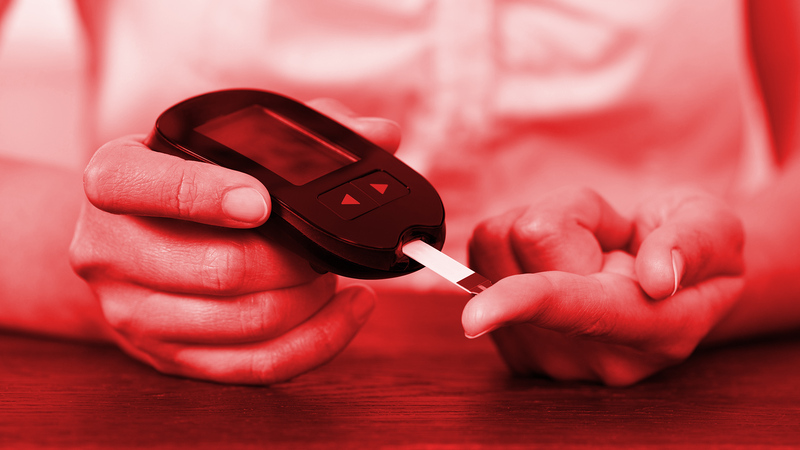 While these symptoms are unpleasant, untreated and uncontrolled diabetes can have serious health repercussions, including heart attacks or strokes, nerve damage, kidney disease, foot problems, eye disease and gum problems. With that in mind, it's always a good idea to think about ways you can prevent Type 2 diabetes. Not next month or next year, but now. If there are parts of your life that can use improvement, make those changes, and make sure you notify your doctor if things start to go awry, especially those symptoms that are outlined above. Identifying and treating diabetes can help you avoid complications, but preventing it in the first place is an even better idea.